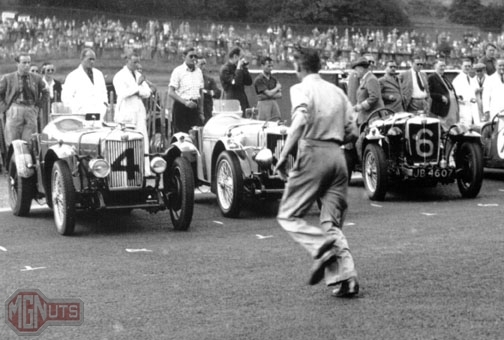 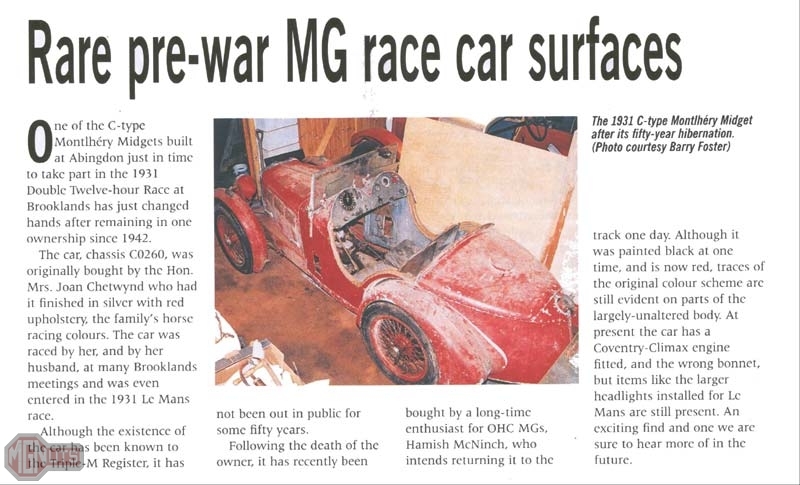 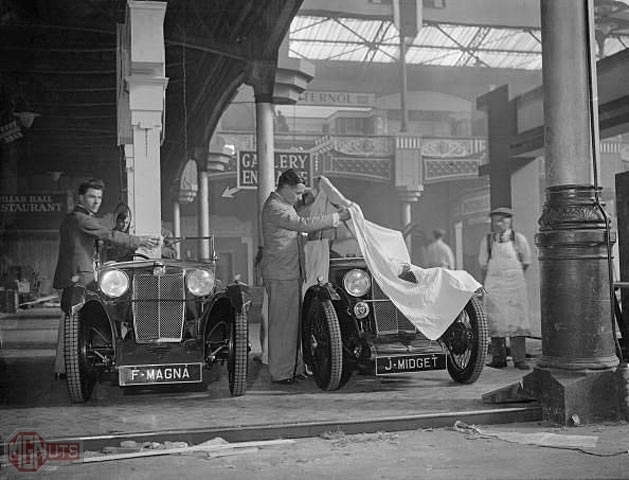 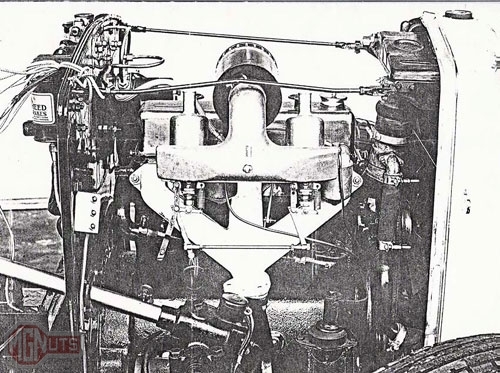 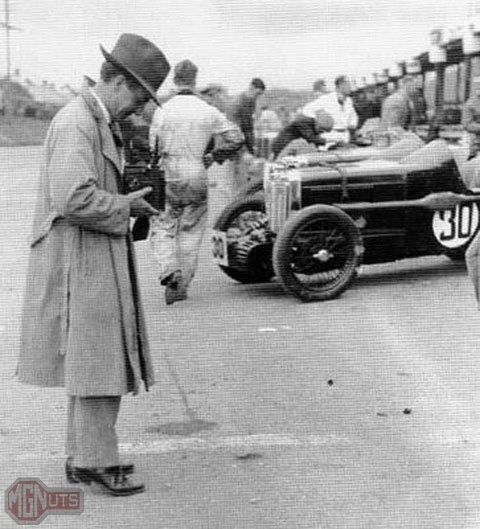 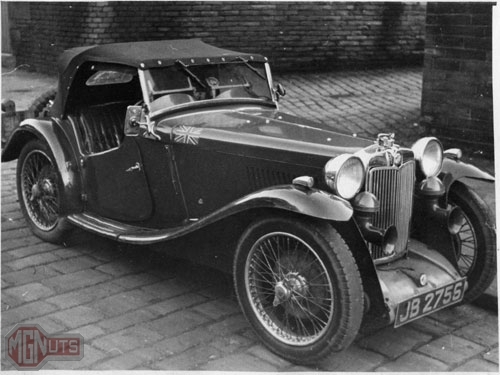 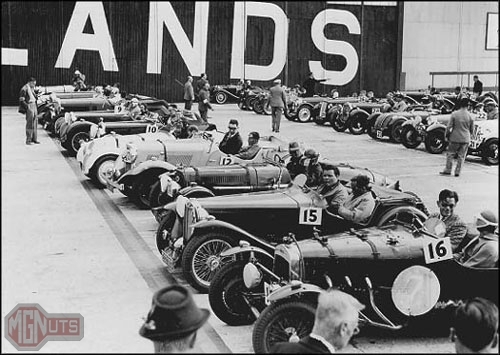 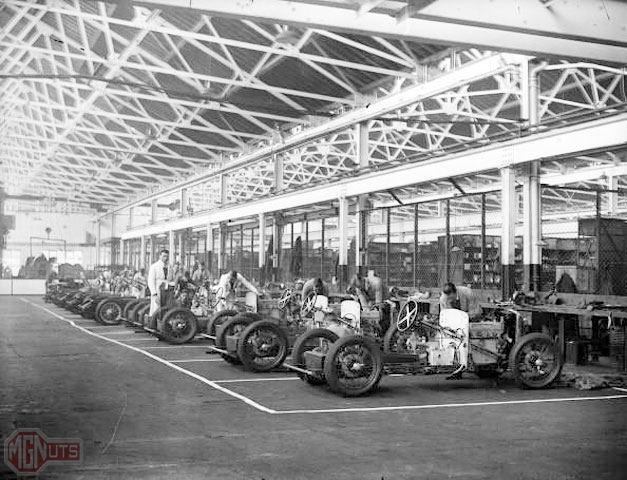 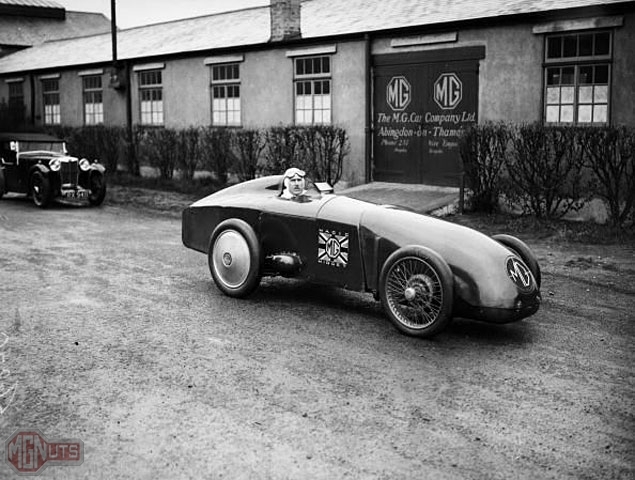 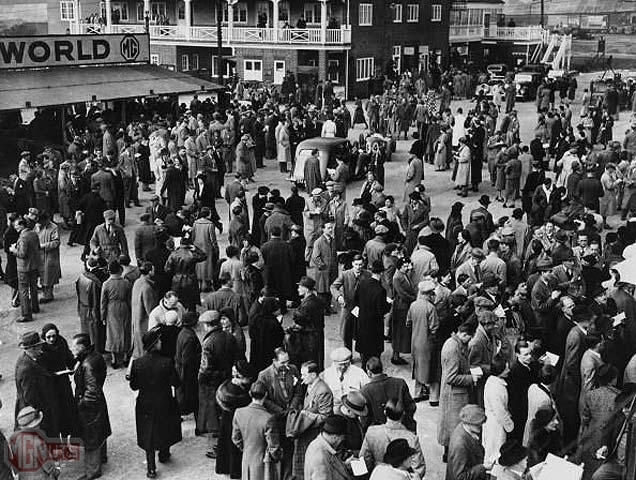 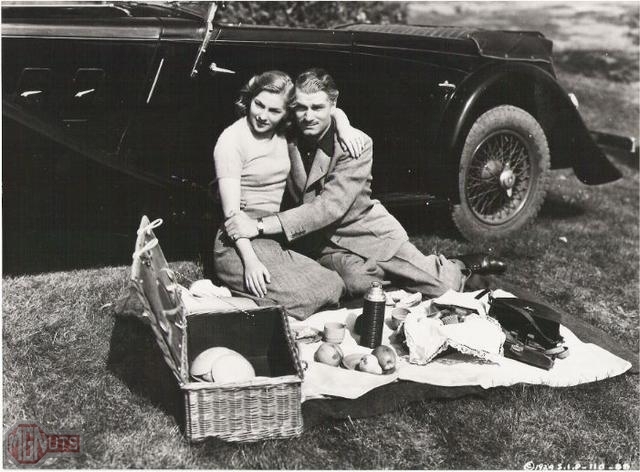 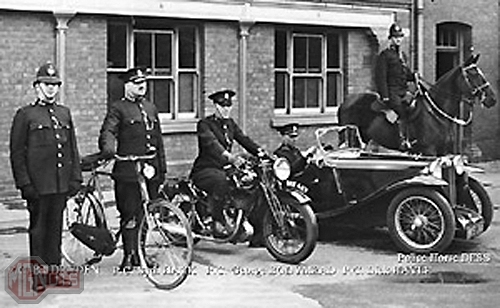 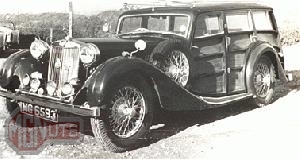 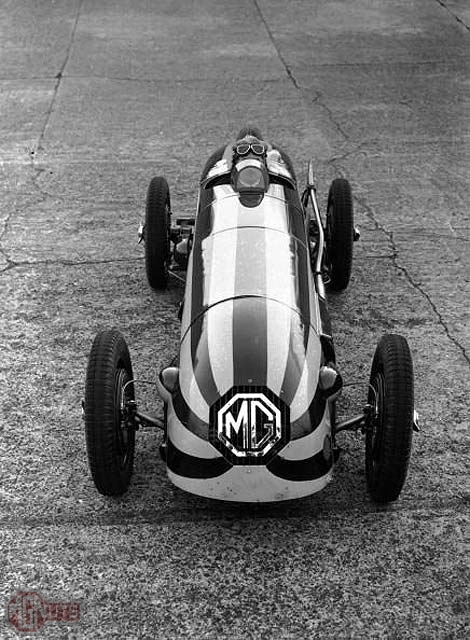 The 1930’s were a time of great success and glory for the M.G. 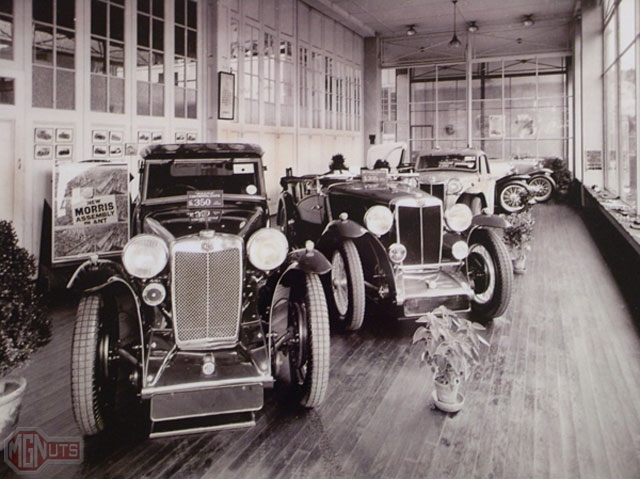 Car Company. 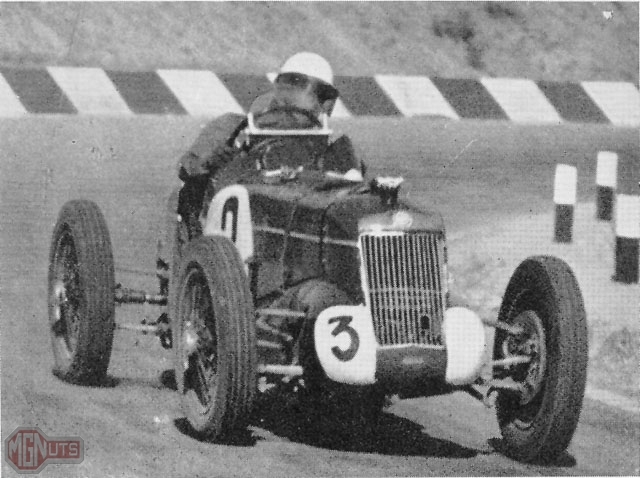 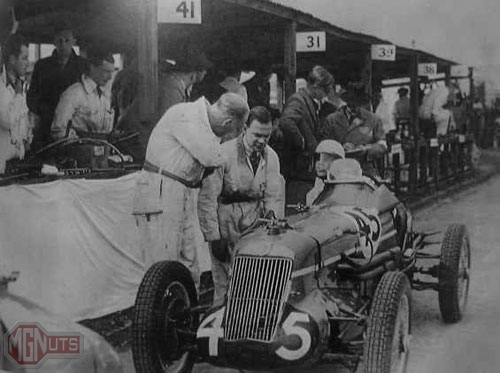 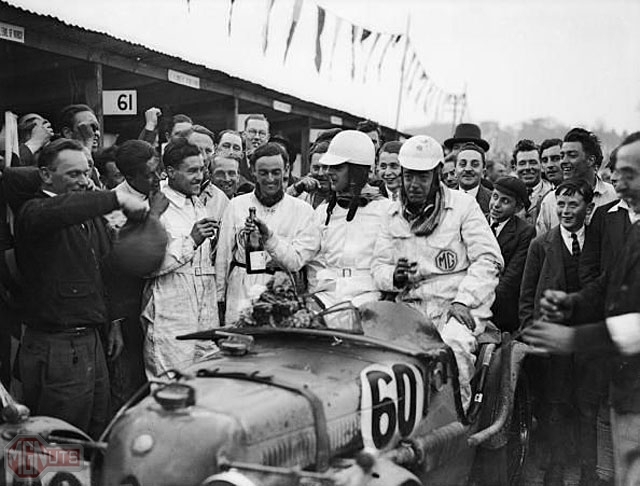 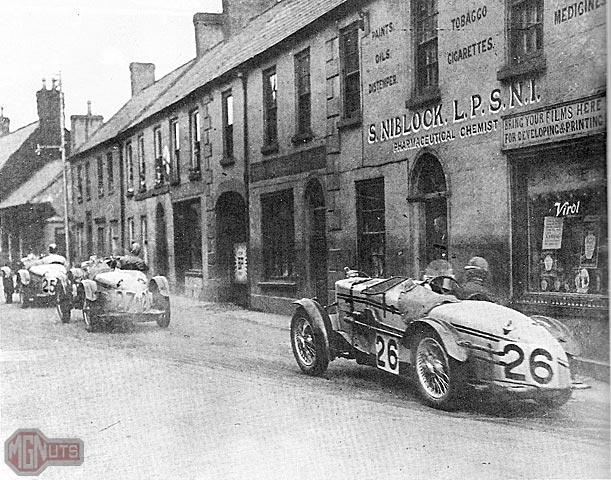 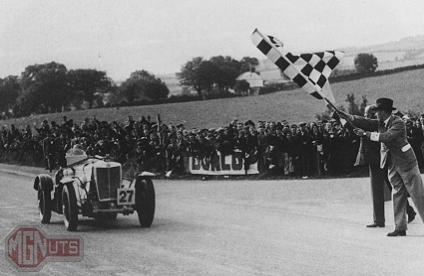 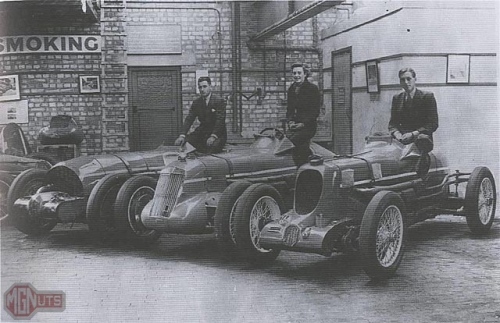 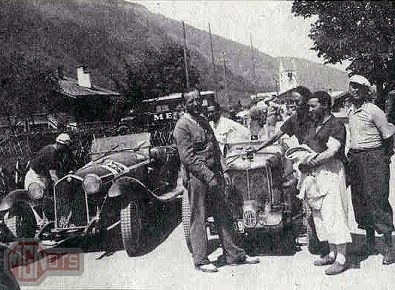 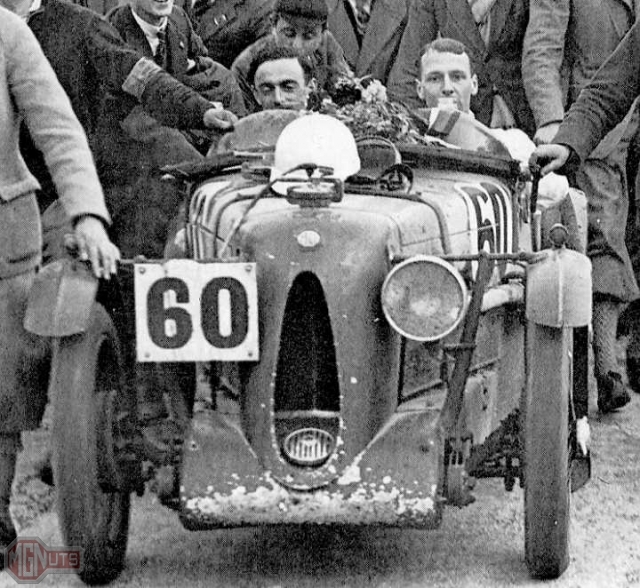 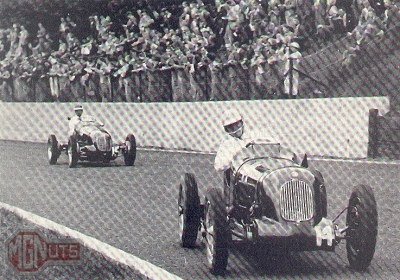 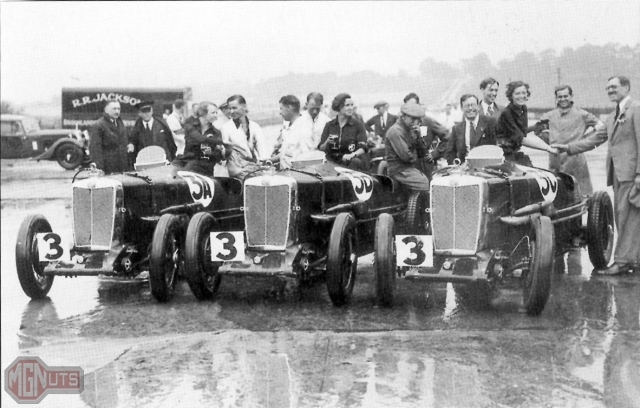 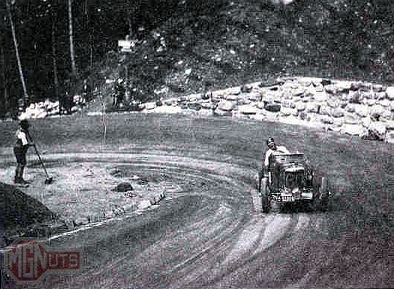 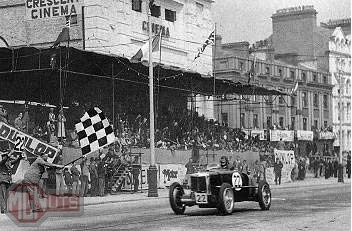 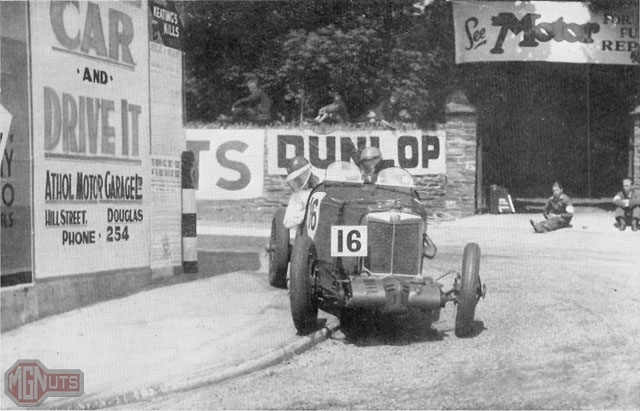 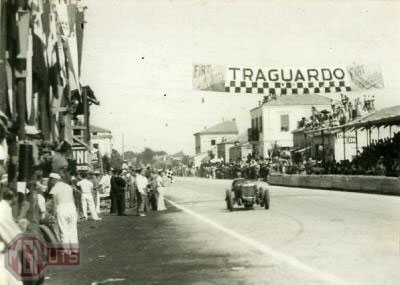 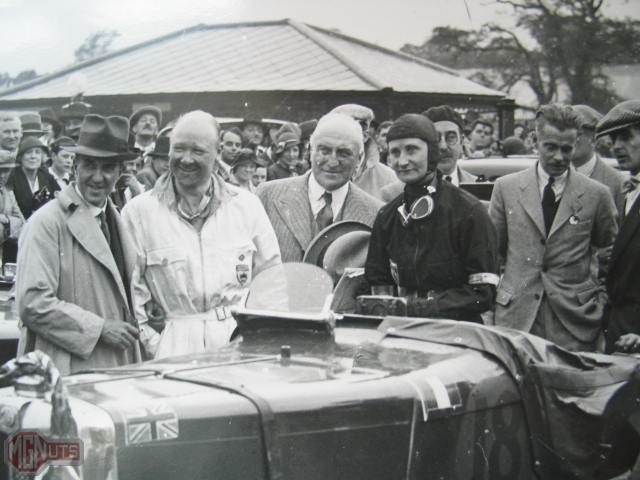 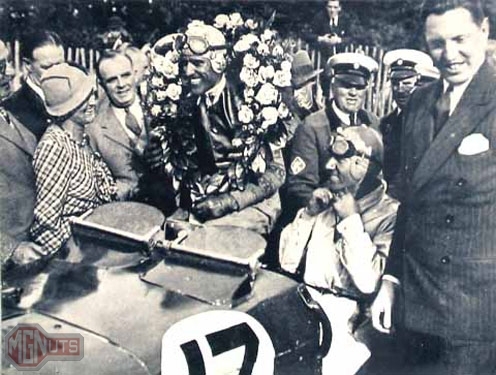 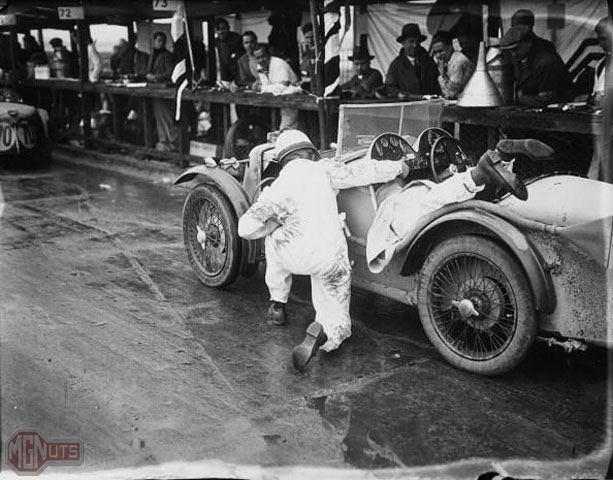 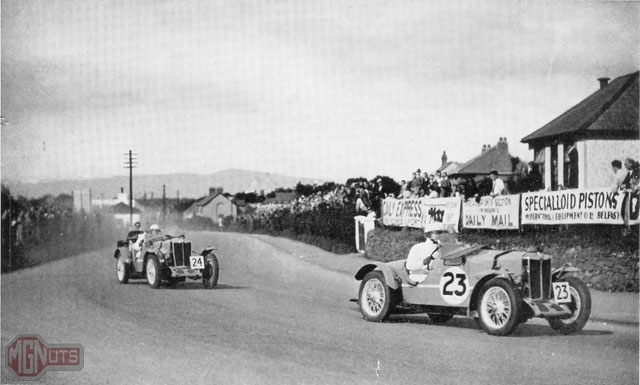 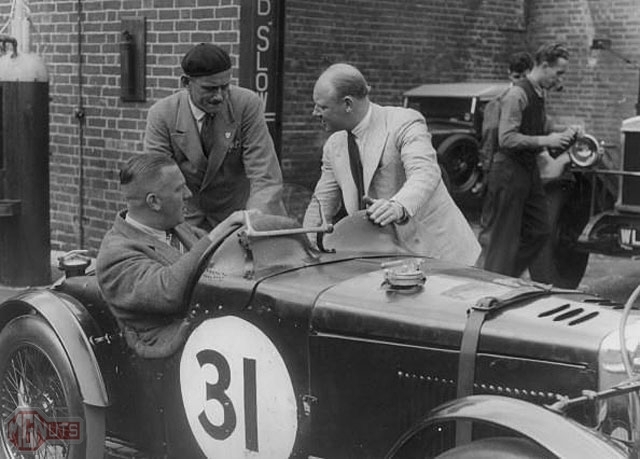 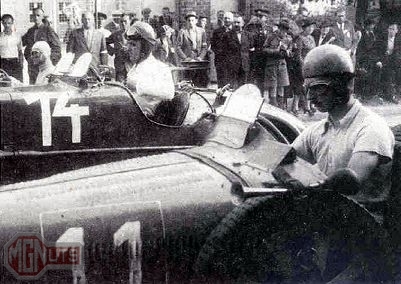 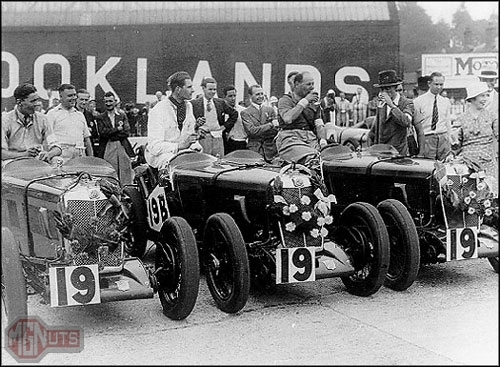 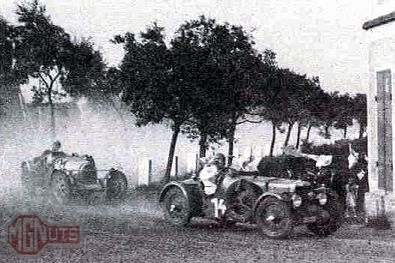 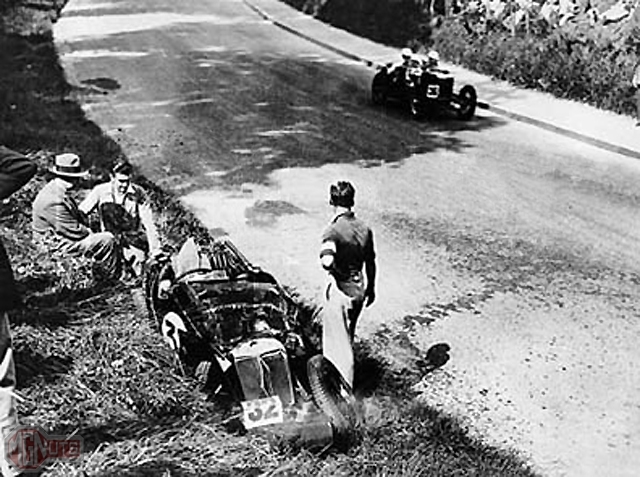 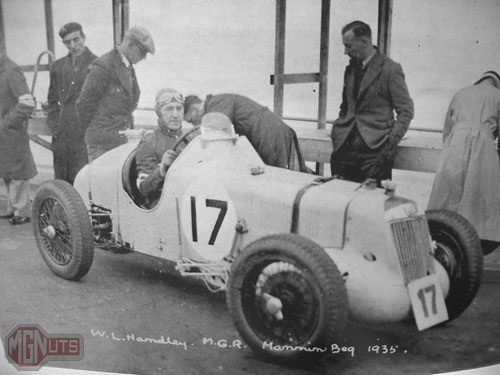 Talented drivers such as the Evans family pictured above took M.G.s to every race imaginable and at times the cars seemed unstoppable. 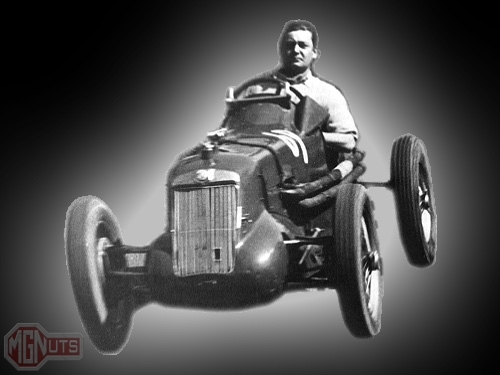 Legends of the game like Capt. 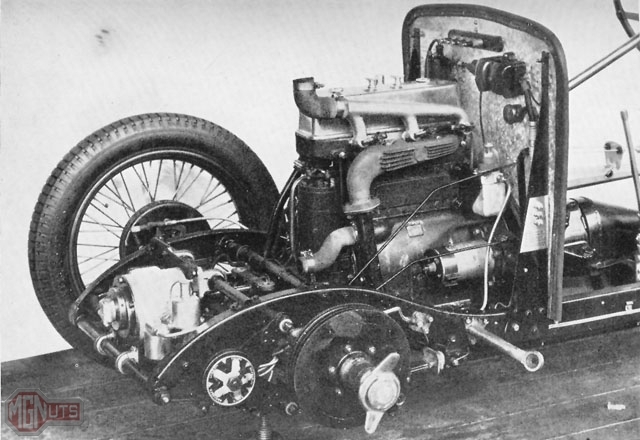 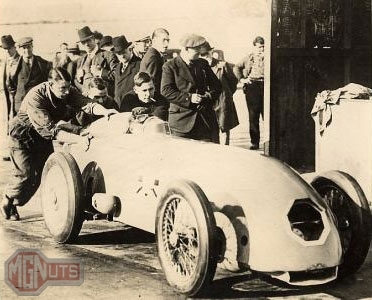 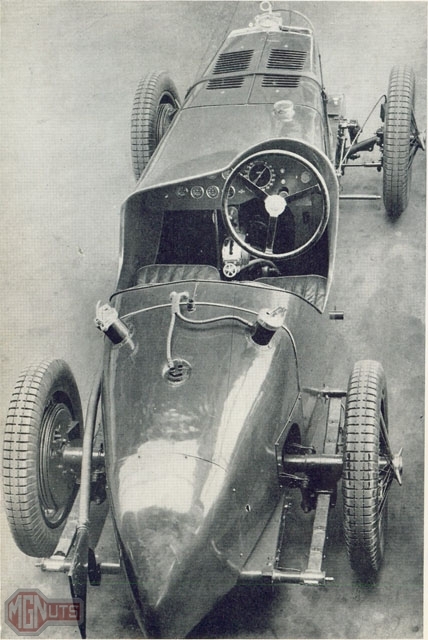 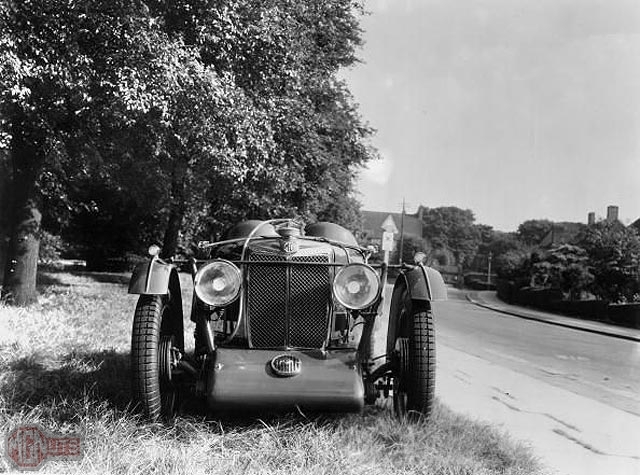 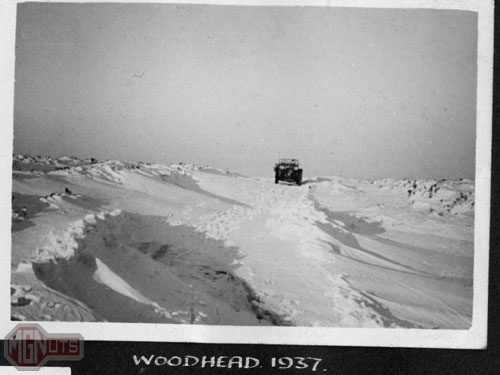 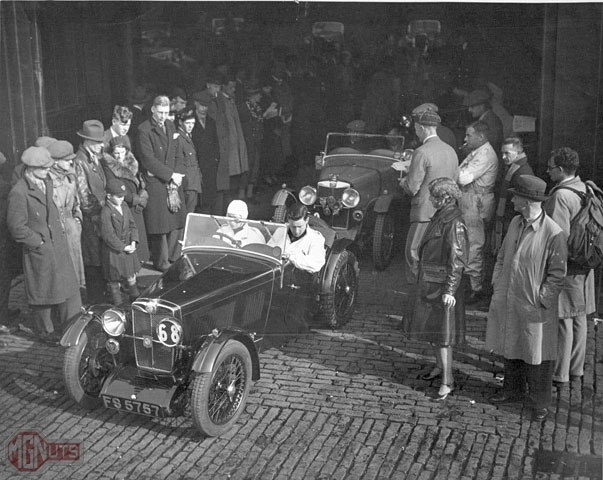 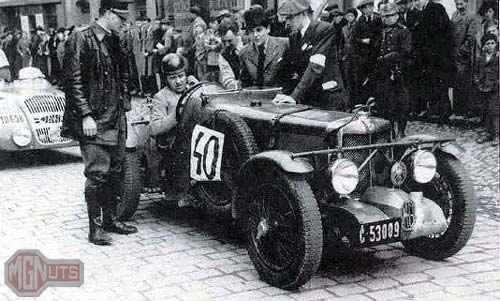 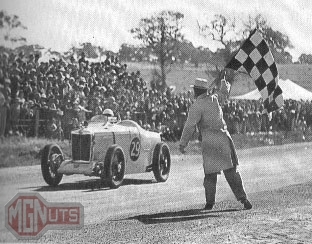 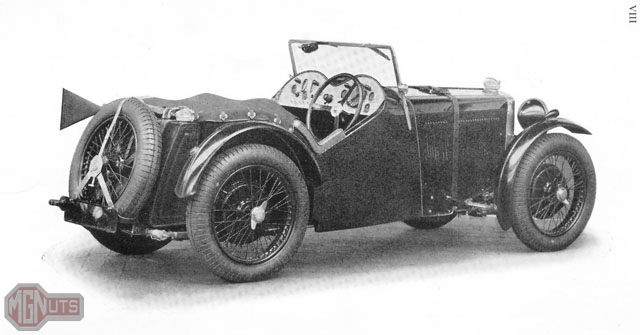 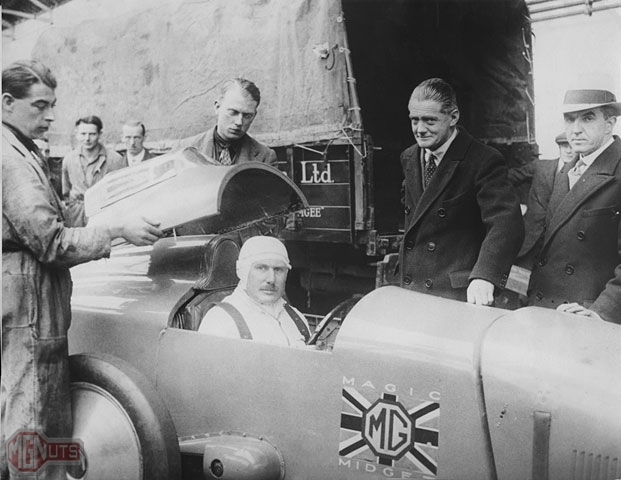 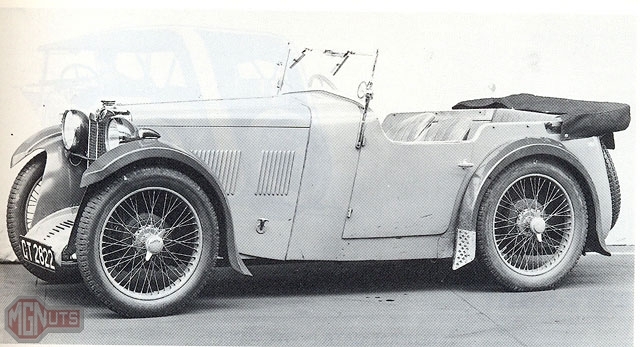 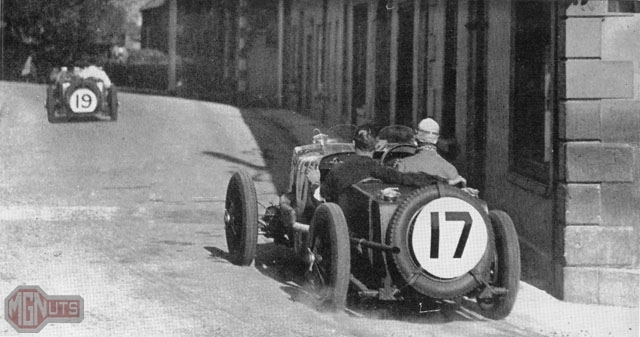 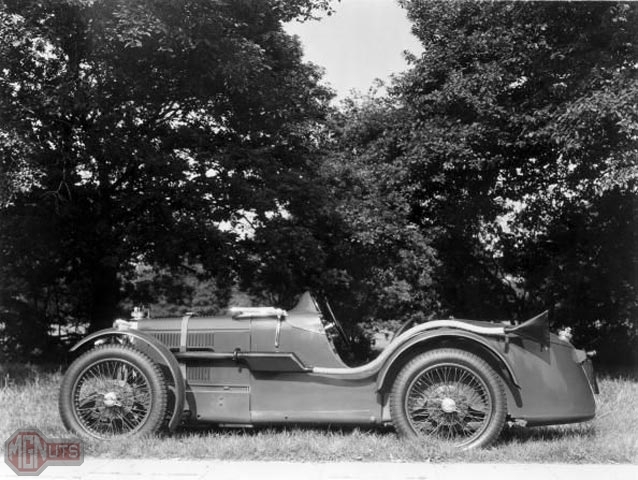 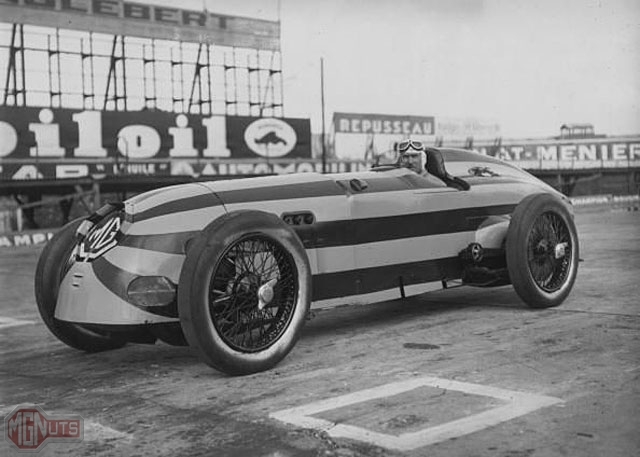 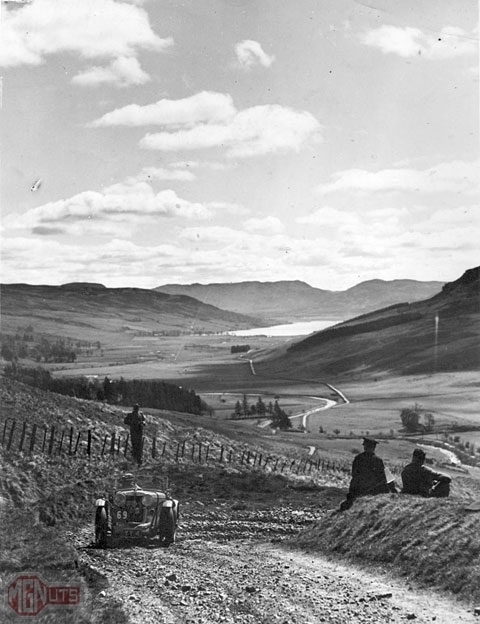 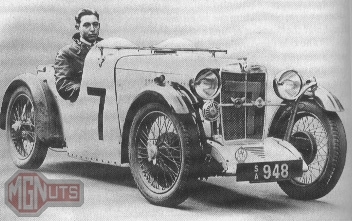 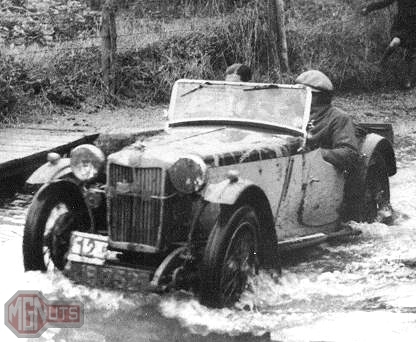 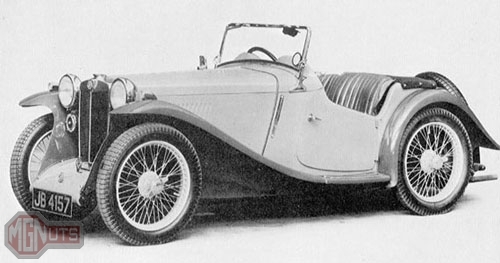 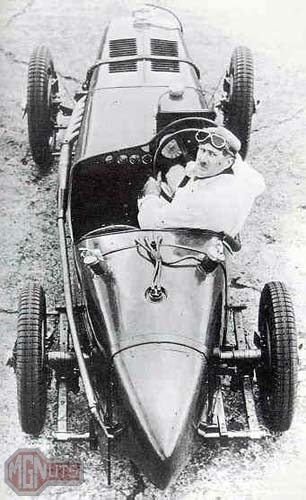 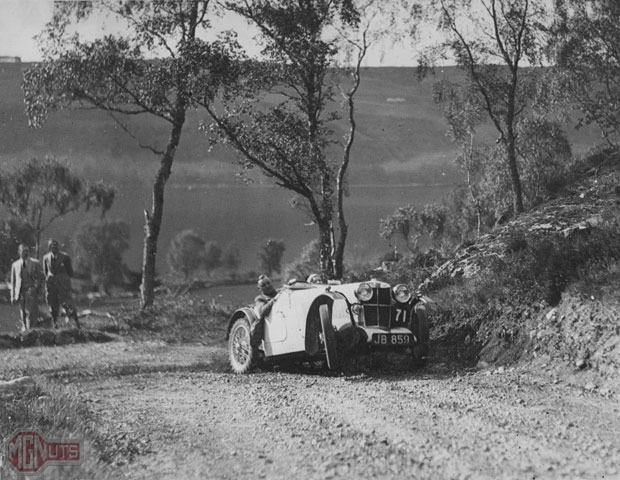 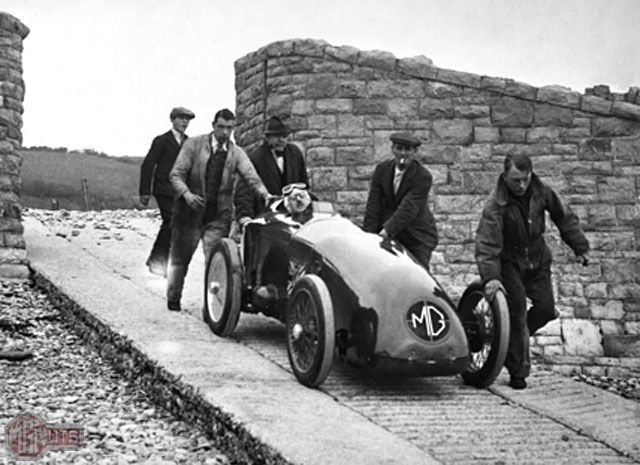 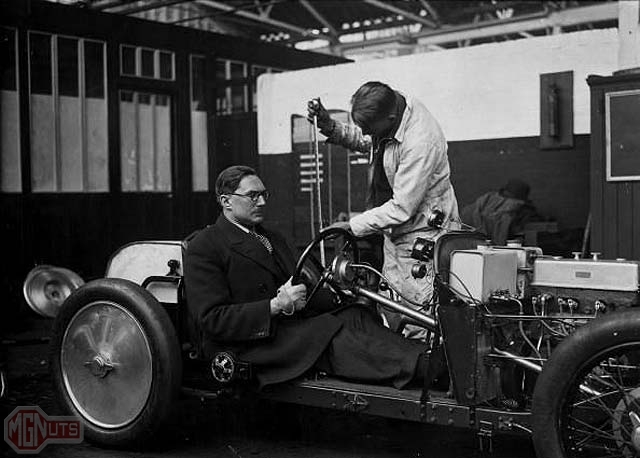 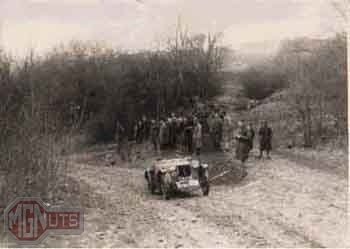 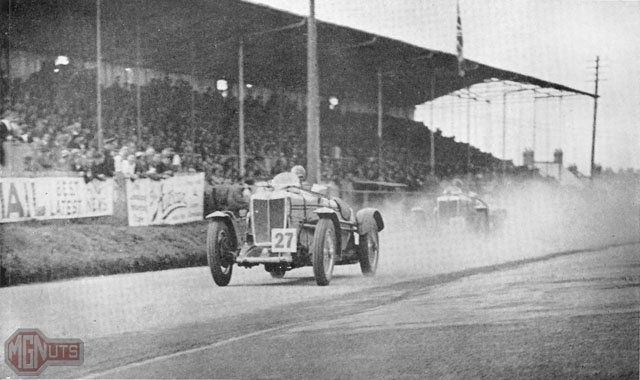 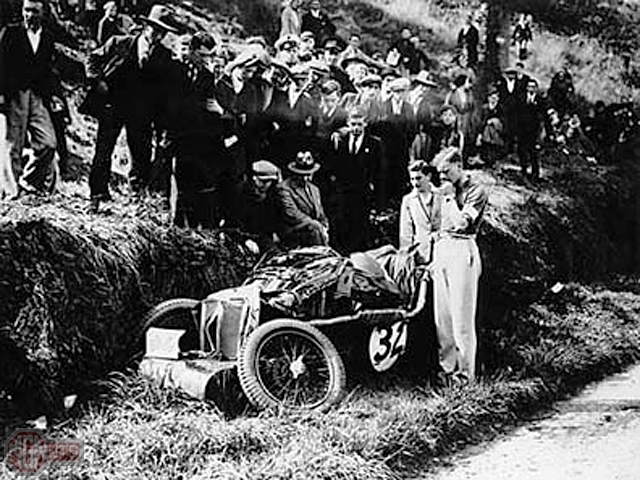 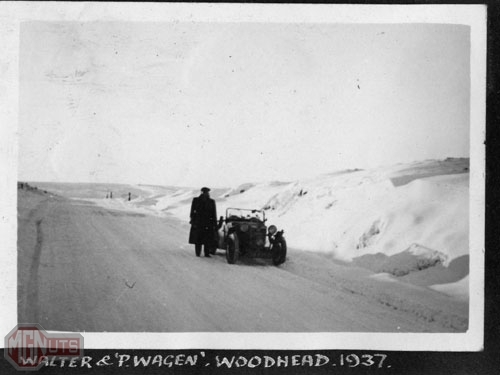 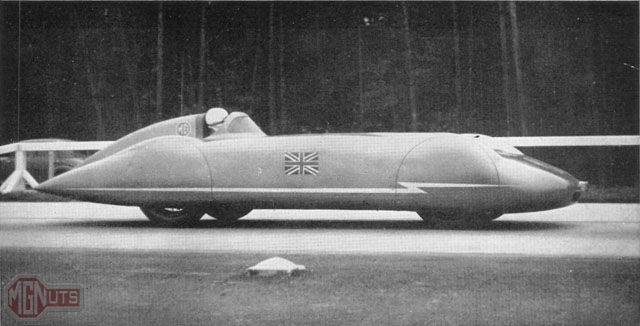 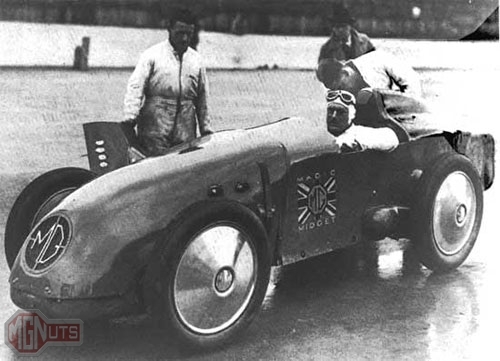 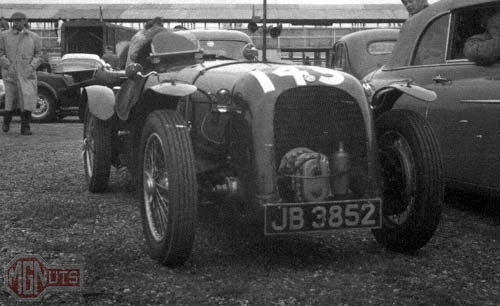 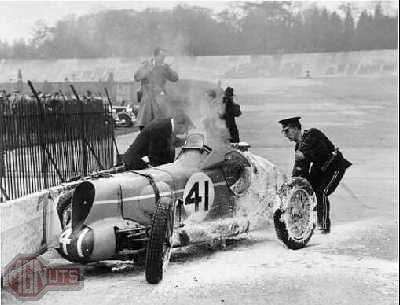 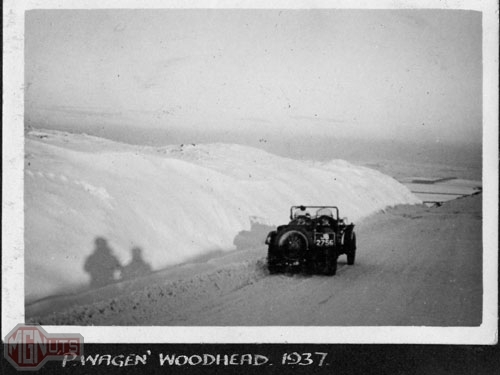 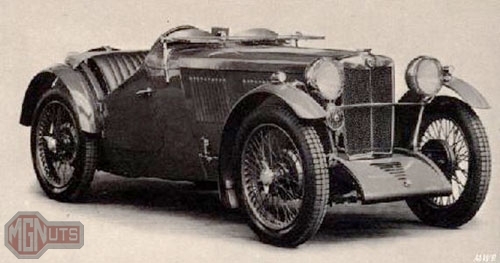 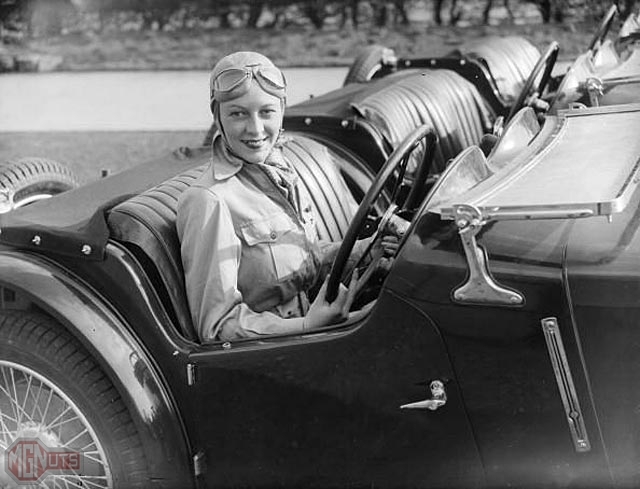 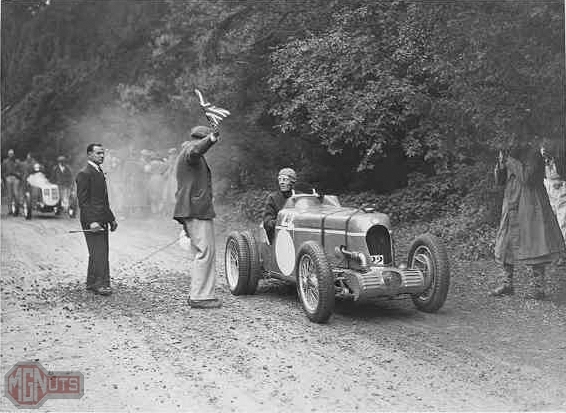 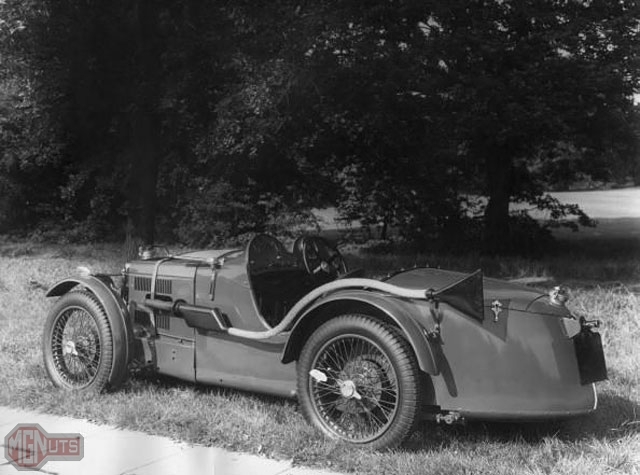 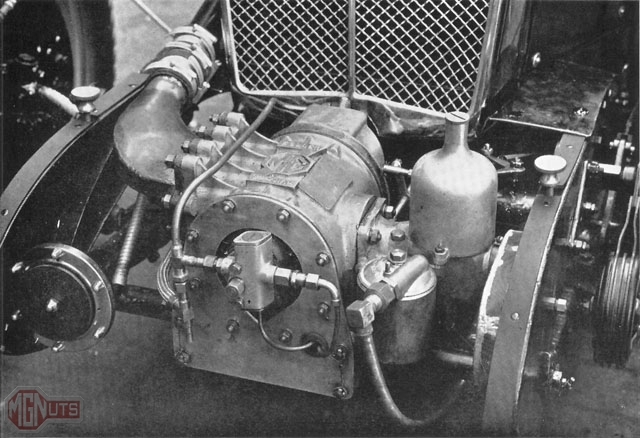 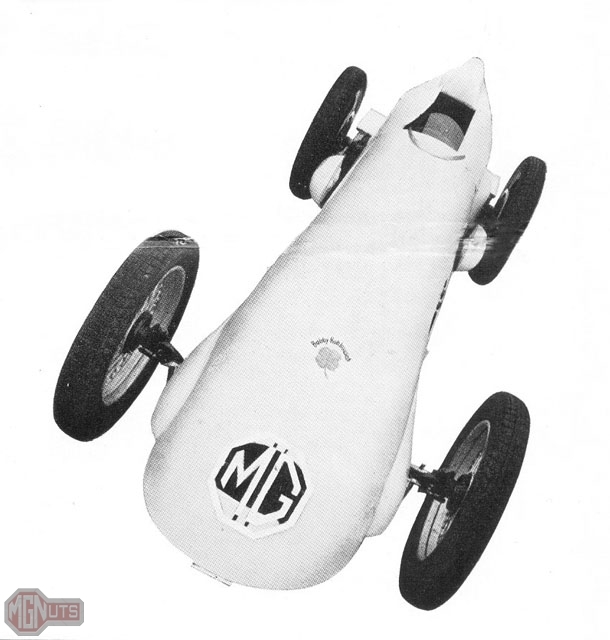 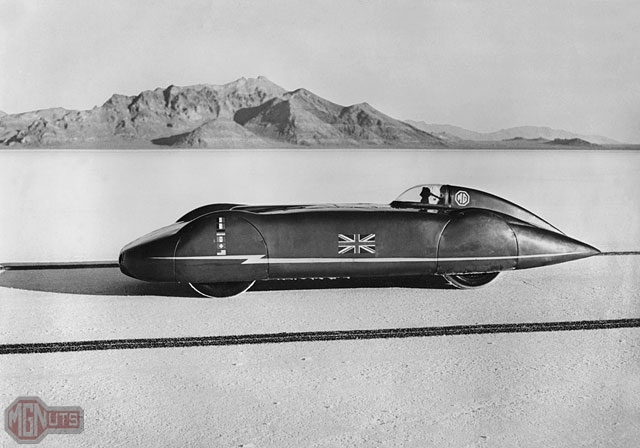 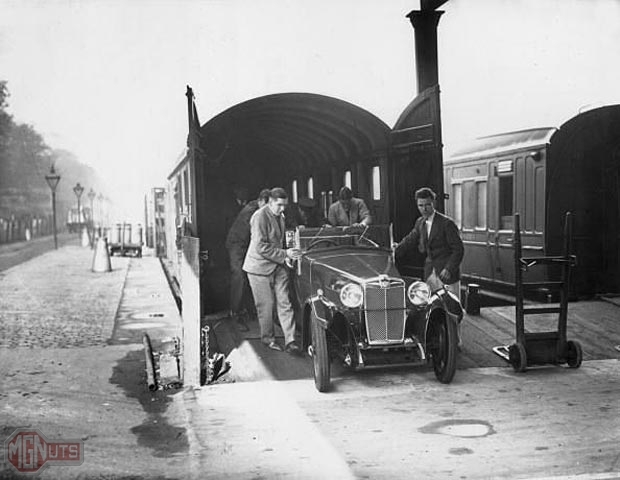 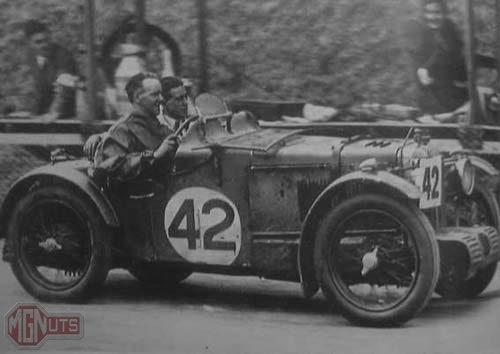 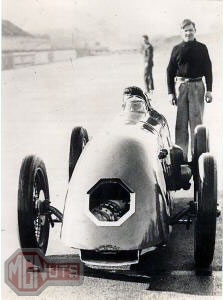 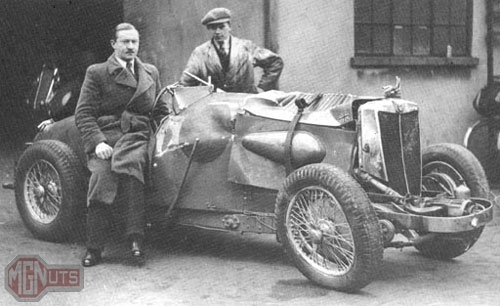 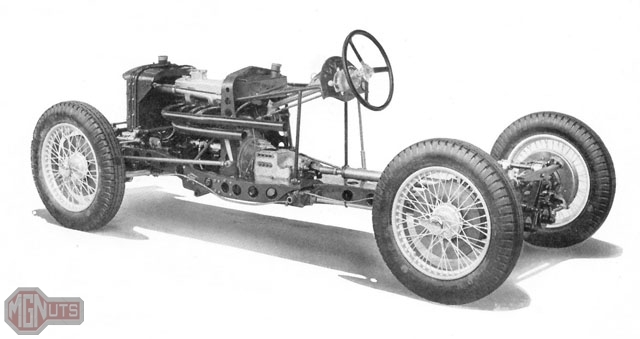 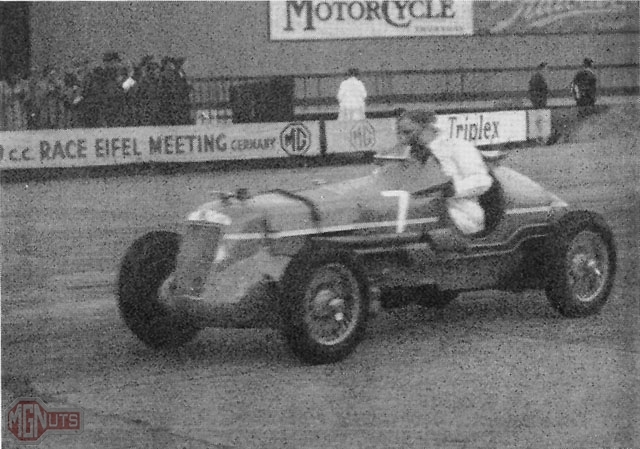 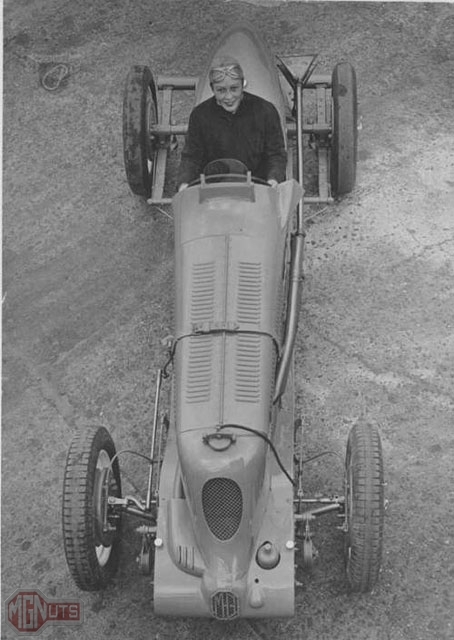 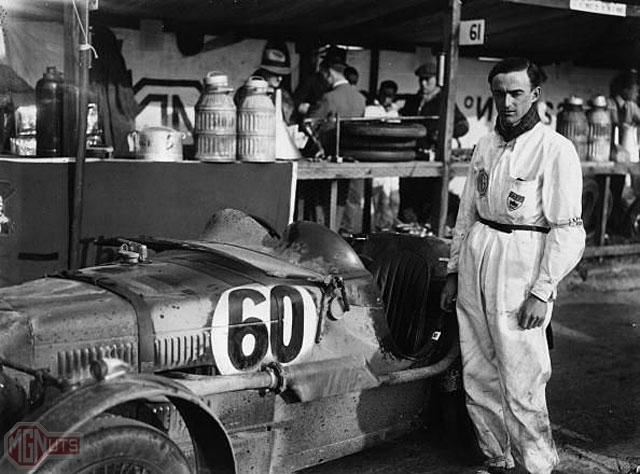 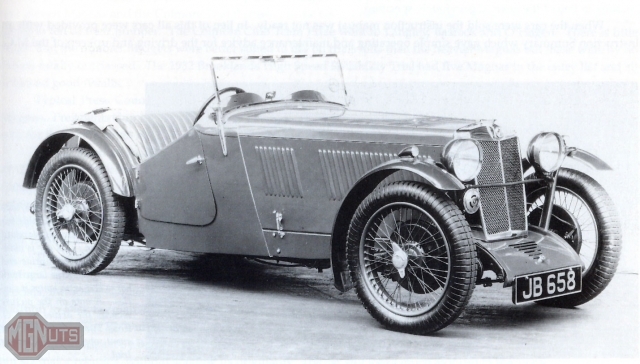 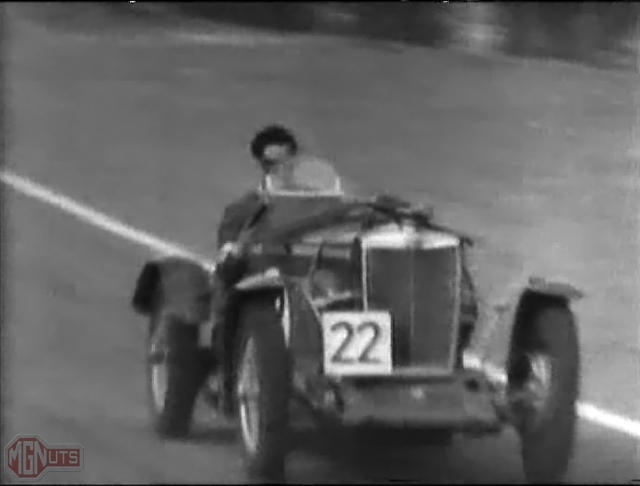 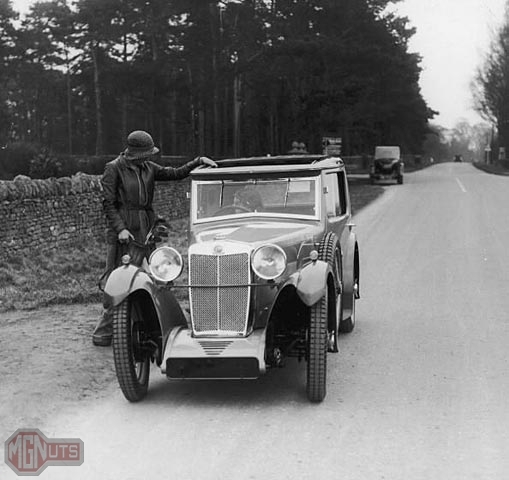 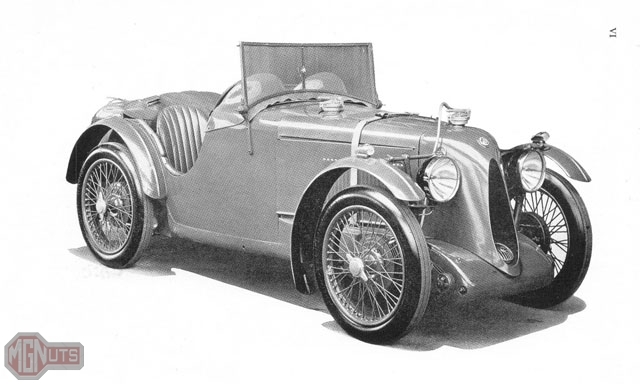 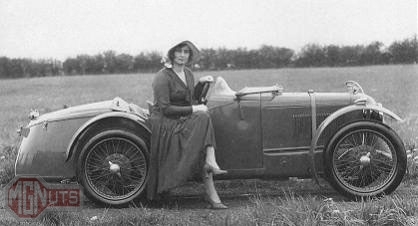 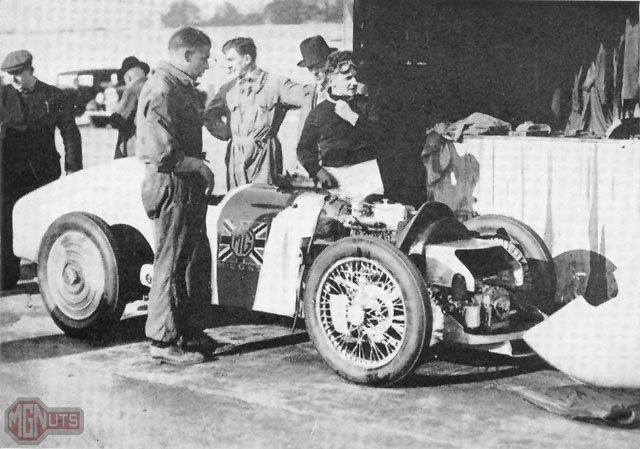 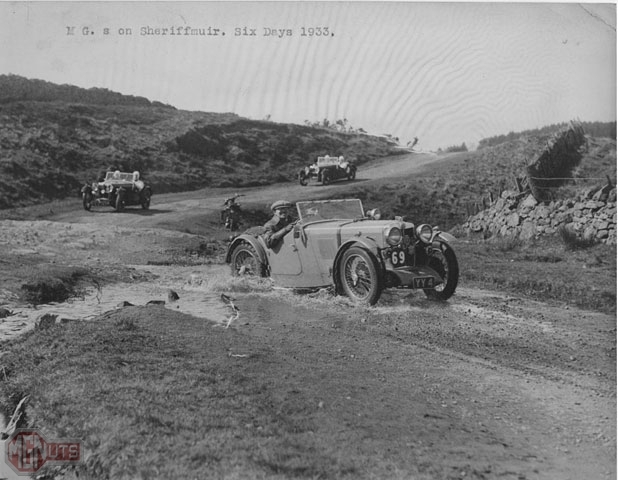 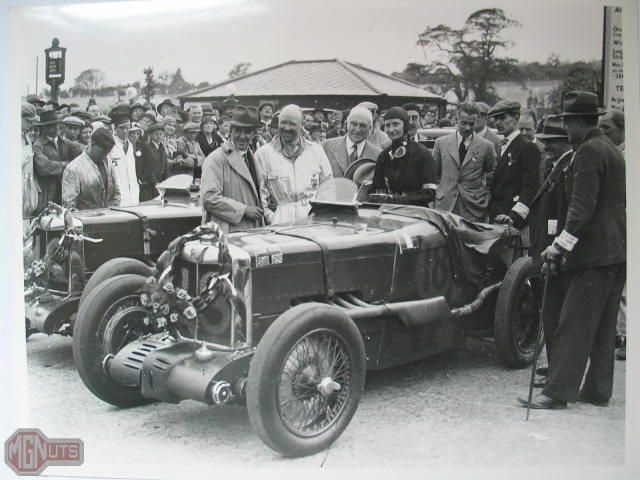 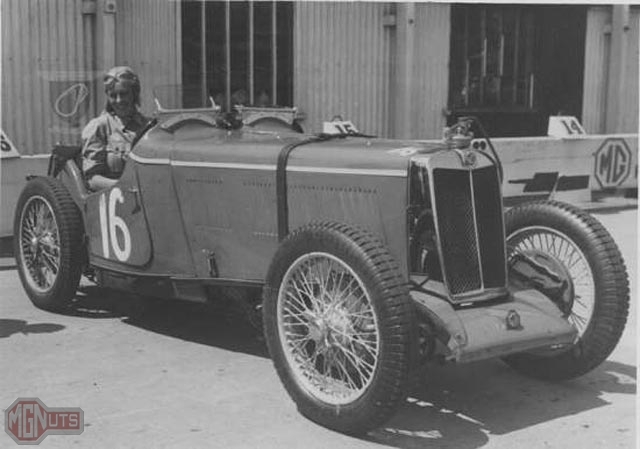 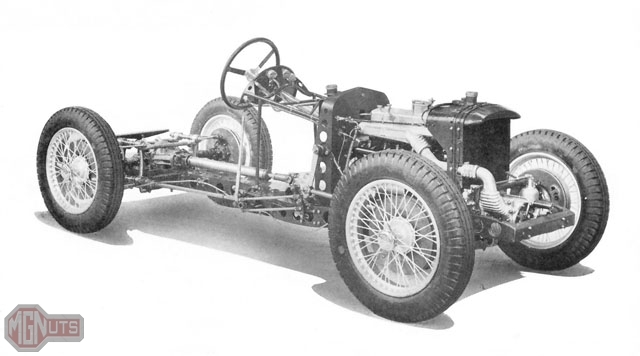 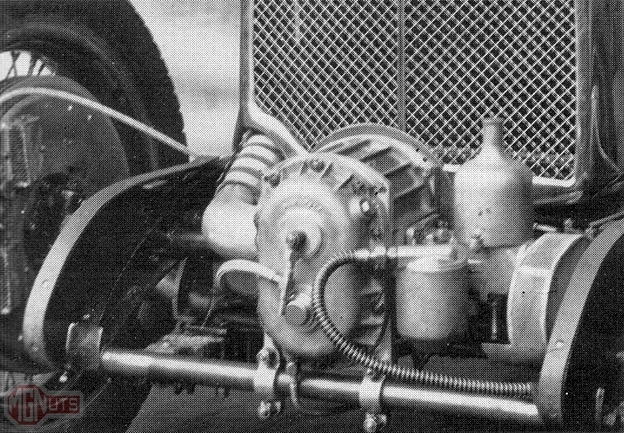 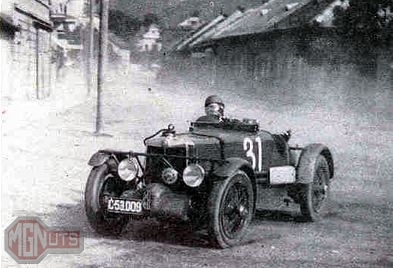 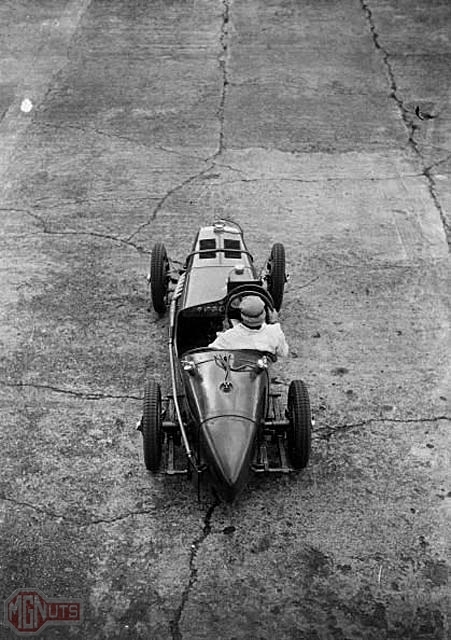 Goldie Gardner set numerous land speed records, some which stood unchallenged for decades, in the famous EX series of record breakers built at Abingdon by the M.G. 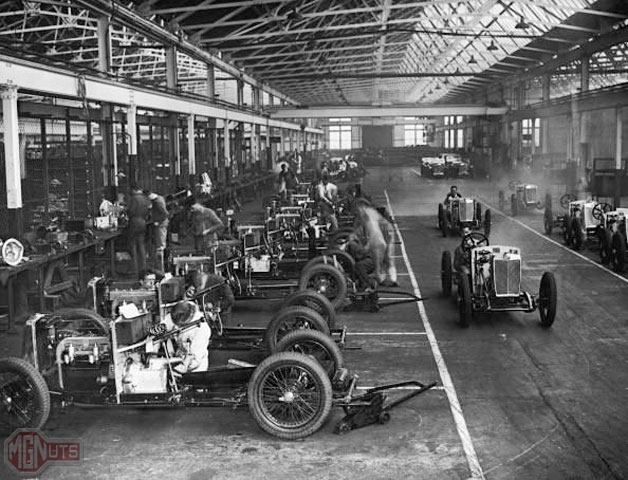 Works Department. 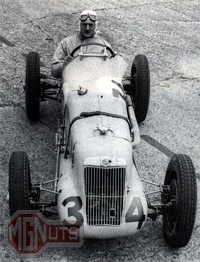 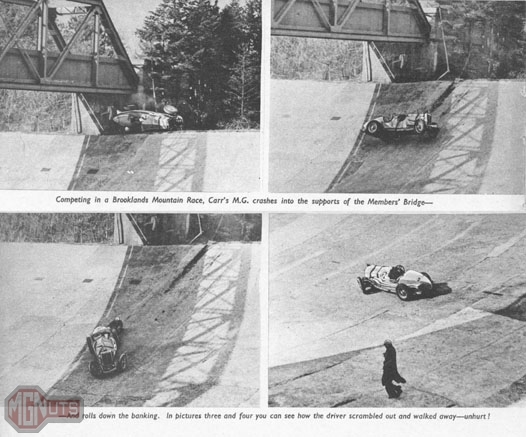 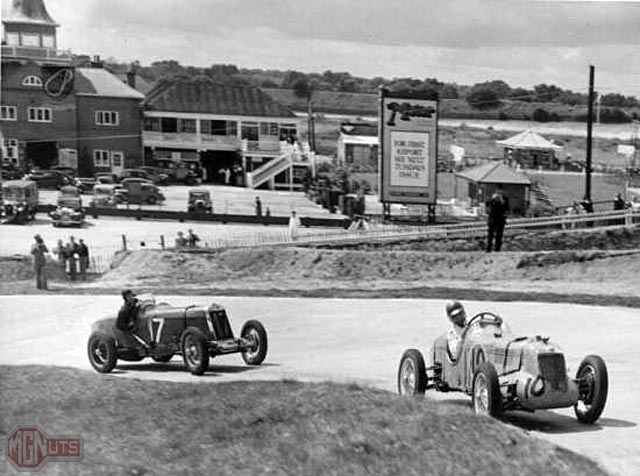 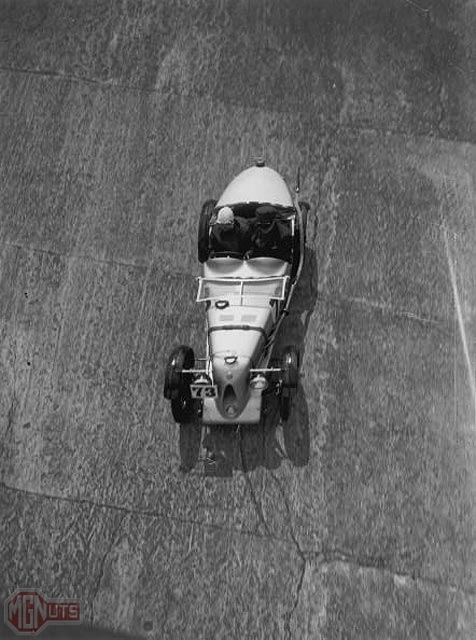 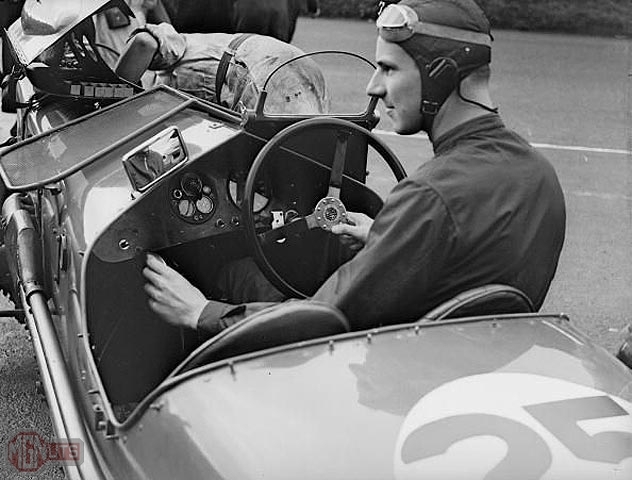 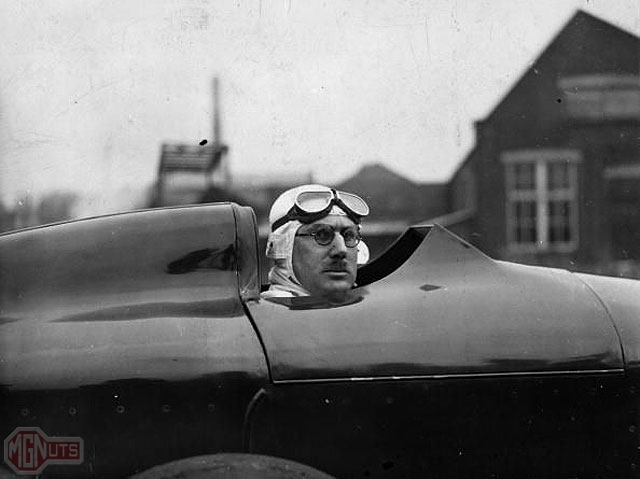 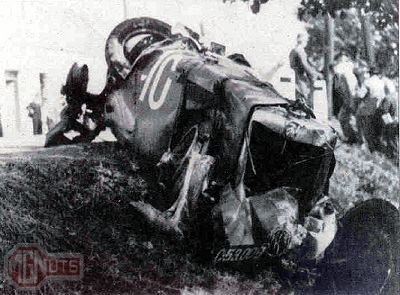 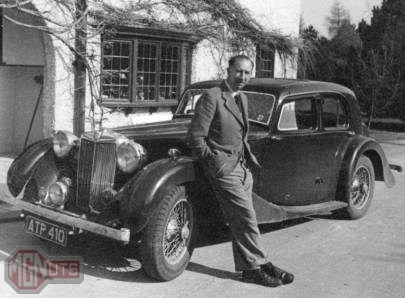 To this day, Formula One champion and racing legend Sterling Moss is quoted as saying “The fastest car I ever drove was an M.G.”, referring to his 254 MPH land speed record set in 1954 while driving EX-181.